Looking ahead to 2012 | Climate Etc. Happy New Year, everyone! What do you think 2012 portends in the debate on climate change and energy? President Obama came into his first term in office focused on 3 key energy and climate issues: 1) cap & trade legislation, 2) offshore oil production and 3) scaled-up support for nuclear energy. 2011 saw all those issues depart as centerpieces of U.S. policy direction. 2012 will bring a set of high stakes questions that will set the direction. 1) Presidential Politics and the Environmental Protection Agency (EPA): Backwards or Forwards? As the November Presidential election inches closer, the already sensitive positioning on how far and fast the EPA should go will only increase leaving the pace of both Clean Air Act and shale gas regulatory issues in an uncertain space. 2) Keystone XL: What to Do? Whether the US need for secure sources of oil delivered in a manner balanced with environmental concerns can be accommodated in a politically charged year remains to be seen. 3) California Cap & Trade: Ready or Not? Success or failure in the California market will influence how federal policy might address climate change in the coming years. 4) Solar Drama for Obama? Market analysts will be closely watching how the U.S. sector can overcome these challenges (Solyndra, expiration of federal incentive, trade war with China over manufacturing standards) in 2012. 5) Showdown in the Friendly Skies? Airlines will be charged for carbon emissions created by flights to and from 27 EU countries starting January 1. The first commitment period of the Kyoto Protocol will come to an end allowing those that took part to take stock of their experiences and those looking to make commitments in the future to learn lessons too. At the end of June Brazil will host the Rio+20 conference in sustainable development. With the world’s major economies involved in elections and leadership struggles, many believe a ground-breaking deal is unlikely. COP18, in oil- and gas-rich Qatar, will be met with predictable scepticism. The rate of increase in the adoption of renewable energy is hugely encouraging. Falling costs in solar photovoltaic and offshore wind generation are making their mark. Germany, France and Spain are well on the way to exceeding their 2020 renewable energy targets and the EU as a whole should meet its collective target with relative ease. There is now speculation that the EU will set new objectives of 30% for renewable energy consumption by 2030. The Danish government have made it clear they intend to use their six month presidency of the EU Council to incentivise green growth and implement new Energy Efficiency standards. The UK’s Department of Energy and Climate Change estimates that private sector investment of £2.5 billion in renewable energy projects in the 2010-2011 financial year could create as many as 12,000 new jobs. So, whither the climate blogosphere? Any predictions? Finally, whether visitors like it or not, I’m a self-described selfish blogger. I use my posts to learn, to test my preconceptions, to be inspired by fresh views I would never encounter without the marvel of Web connectedness. You’ve stumbled on the reality that Dot Earth is journalism, revealed. As with science, journalism is a journey. The old 20th century notion of the page-one story or nightly news report definitively distilling the world into sound bites is history. My blog provides an over-the-shoulder view of my inquiry on tough issues. Climate Etc. continues to evolve, along the lines of my own evolving interests (which are influenced by my engagement here), the interests of the denizens, not to mention stories du jour. I have a backlog of 50 posts that have been started by not finished, some of which only have a few web links for reference. Let me know your preferences and suggestions for topics for 2012. Guest posts are welcome! Happy New Year, Judith. My prediction is some kind of war with Iran leading to a disruption of shipping through the Straights of Hormuz, a spike in the oil price and further calls for alternative sources of energy on the back of the “energy security” mantra. Sorry, not very uplifting. Happy New Year, Professor Curry! The universe unfolds exactly as it should. We could use a 57-state solution to energy independence. Perhaps we should start by liberating the coal producing states from the cultural hegemony of the elitist federal socialist bureaucracy. Happy New Year, Judith. My prediction is an extra 24 hours of weather in 2012. Happy New Year Judith! And to ad to the most correct Gary’s prediction: weather and climate will be changing every day as it always did. Warmist are pointing that is bad climate now, but intend to stop climate of changing > best Warmist hypocrisy will continue, as long as there is bull-dung customers. Happy new year to everybody! Happy New Year, Indeed, 2012 will be interesting. The BC carbon tax will increase in July, but it’s future may be in question when the public sees that it is responsible for 18.2 million in tax money transfered to the Pacific Carbon Trust Fund for ” Low carbon emissions projects” for busness and industry. LOL Then again, maybe not. Jim; that is: Pacific ”tax heaven” legalized, if is no enough money for doctors, nurses and teachers – is because your prediction is correct. Will be your fault, for predicting correctly! “Guest posts are welcome” …. how can I submit one? The Leftist bureaucracy’s use of global warming scare tactics as a means for social change will continue to be a fire bomb in the hands of the liberal mob. I agree that Presidential politics will dominate energy policy. A) I foresee that the President’s decision not to renew Bush’s tax cuts will lead to a future reductions in all money’s available for climate topics. This will be the compromise with the Republicans. B) The saber rattling of Iran dictates that the Keystone pipeline gets approved whether or not the Straits of Hormuz gets blocked or not. C) Climate science will redirect its focus upon the natural forces involved in weather & climate. Less focus will be upon mann made this or that. D) On some other post I had declared that Copenhagen was the high water mark of CO2 regulation, that Cancun was a step down in realization and now Durban a further step down in the importance of regulating CO2. The downward slope gets steeper and steeper. E) The costs of energy will dictate the strategies for Federal support for technology and the nod goes to natural gas for the near future. Consumers will not voluntarily pay more for a product that has no tangible value to their immediate selves except, of course, their children’s education. F) The blogosphere will enhance its coverage of climate science and some of the high profile actors’ bad behavior. There will be less and less interest in climate science altogether and an increase interest in weather in particular. G) The trace gas radiative transfer model will be “outed” and its roll in immediate weather events will influence the credibility of long range projections. H) I will journey to the far reaches of the globe now and into the future to visit my children and grandchildren. I) The internet and Skype, or some iteration of same, will be the intellectual stimulus source that keeps our brains from shrinking rapidly. I’m going outside and enjoy the snowflakes now. Given that the Canadians will build a pipeline to Prince Rupert and ship the oil the China if it’s not approved, the only net result of stopping the project will be making marginally more CO2 from shipping oil farther than it needs to be shipped. This is one of the dumbest controversies that I’ve ever seen. And I’ve seen a lot of dumb. Thank you…. it will be on the way by May…. To date, this movement is kept silent on, the only aspect of the orbit taken into account is the excentricity, nothing else, with calculations of Berger (1978) outmoded….. a scientific misery……thats why the AGW models won’t add up and uncertainty is high…..very clear, when one huge input variable is missing, models cannot predict accurately…. I am a skeptic when it comes to predictions, but with luck the climate issue will sink even further out of sight in the USA. The November election will be the focus of attention and climate issues have little or no role to play there, except among us zealots. There will be very little legislative action, which is normal in an election year. The IPCC and UNFCCC are both off the radar for now. I am hoping for a good decision against the EPA endangerment finding, such as a remand, but no one can predict the Court’s action in cases like these. If the Republicans sweep in November then the real skeptical action comes in 2013-14. But all sorts of strange things might happen instead. Like all natural variability, human variability is unpredictable. Some things are easy to predict, like more stupid stuff from the New York Times: http://www.nytimes.com/2012/01/01/opinion/sunday/a-tempestuous-year.html. The NYT has its own decline to hide. David, Obama will avoid debate on climate BEFORE the election – to get re-elected; but if he wins, soon after the election the carbon tax will become the most important and he will try to introduce it. Same trick was used by Australian socialist government. They even clearly promised days before the election: ”no carbon tax” – now Australia has the highest carbon tax on the planet. David, stop trusting snakes and socialist. Happy new year! The previous election saw a hung parliament and in order to create a majority sufficient to form a government, Gillard had to do a deal with the greens and a couple of independents. A condition of that deal was the carbon tax. I doubt very much if that situation is even possible (at least exactly) in US politics, so I would be extremely surprised if such a ‘back door’ tactic would be used on this issue. Furthermore, it would take time, and the longer things go with no warming or a continuing cooling, the less justified it would become. Gillard was an idiot to agree to having her hands tied in this way, but she wouldnt have done it had she not needed to to retain power. I would be amazed if other governments would look at the Australian experience and decide it was one worth replicating. Agnostic, interesting how one can massage the truth. You present as if Julia Gillard was PUSHED into carbon tax. It takes lots of pushing to make cat to eat a sardine. Obama and his advisers have much more brains than Gillard and her advisers. They can orchestrate to be FORCED into carbon tax; only if he wins second therm / he will not need to worry about third therm… If socialist can keep his / her word – they wouldn’t be socialist in the first place. Socialist religion is; if you can prostitute your integrity. See on this blog, people as WebHub, Robert and Joshua; what they say; they wouldn’t believe it, if somebody said it to them, they are targeting the ignorant. Socialist religion is: praying on the ignorant. You present as if Julia Gillard was PUSHED into carbon tax. I am not merely “presenting” it, I am stating it outright. Gillard is an idiot, sure, but no politician that is at least capable of getting to her position is ever going to be comfortable with the inevitable fallout from promising publicly that you would never implement a carbon tax, to then go on and introduce one. Don’t you think she would have thought of that? It was the more ideologically minded politicians that did quite literally force her into it in order for her to retain power. That she would rescind on a promise to the electorate in order to gain power makes her of questionable moral fibre is not in any doubt. You then go on to talk about ‘socialist religion’. I would describe myself as a liberal socialist politically speaking. Since both terms are extremely broad I should clarify: I believe in preserving individual liberty (liberal) for all (socialism) and governing for the greatest good (the maximum number of people possible ie socialism) in order to preserve individual liberty. I suspect that your views on socialism are coloured by your political experience of the United States, but I can’t emphasise to you enough that that experience is extremely limited and very polarized from an outsiders perspective. Therefore, I would counsel against making generalizations on political ideologies based on that experience. I am skeptical about the science as it has been presented to us on climate change, and that making radical changes to the world economy is therefore justified. I think it is a distraction from real impacts man makes to his environment, and that we have more than enough worthy causes that exist in our present to occupy our energies. But if it were the case that we were doing bad things to our climate as a collective, or anything else for that matter, then I would want government to do something about it. That’s what they are supposed to be there for. Energy will win the debate, whether or not it wins the policy remains to be seen. Above all else, I am most interested in climatology’s inability to balance the energy budget and locate the “missing heat energy” as it seems to me this is the most obvious and glaring hole in the entire CAGW hypothesis. I predict, with very high probability, that we will see a continued parade of elaborate ad hominem arguments, as well as postmodern critical analysis of authors of posts, rather than actual arguments addressing the content of posts. The good news is that it will still be worth visiting Climate Etc. even in the face of such noise. Happy New Year. ….. we only have good news for 2012 and we will pull a few more bricks out of the AGW wall, obstructing the free vision of people….. If the international community sincerely believes that CO2 emissions are a threat to the environment, then I would support a program of extinguishing global coal seam fires. Coal seam fires in China alone produce more CO2 than the entire automobile and truck emissions of the US. Globally, such emissions from these fires are tremendous from places such as China, India, Indonesia, and the US. If the UN were to embark on a global cooperative program among nations to extinguish these fires, we could actually have some meaningful CO2 reductions without any central management of development or transfer of wealth between nations. If the UN are serious about actually reducing emissions, this would not be a hard sell. It would produce tangible and measurable results that would produce greater reductions than all the Agenda 21 plans in the world combined. I would support such an initiative. I don’t believe any such initiative will ever come to pass, though, because none of this is actually about really reducing atmospheric CO2. It is about central management of development and transfer of wealth among nations using the fear of CO2 as the enabling mechanism for that. To engage in activities that actually reduce CO2 without this management, lifestyle changes, movement of wealth, would be counter to their real agenda. This isn’t really about CO2 at all. We could actually start reducing CO2 right now. Simply putting out the ones in China would be equal to removing every single car and truck from the roads in the US. Crosspatch, this is the first time I’ve ever heard about this. Is there a good place to read up on this and see how this is documented? Thanks. 2011 was an unprecedented year for climate induced extreme events. Huh? “Climate induced weather events”? Aren’t ALL ”weather events” (extreme or not) ”climate induced”? Sounds like a nonsequitur to me. And what was so “unprecedented” about 2011? UK International Development Secretary Andrew Mitchell has warned that the world is “dangerously unprepared” for major crises and disaster relief. The Central Emergency Response Fund (CERF), launched after the Indian Ocean Tsunami of 2004, will start the New Year with a £45 million shortfall. “Indian Ocean Tsunami ?” This does not sound like a ”climate induced weather event” to me. I thought a major earthquake was the root cause. Am I missing something here? CO2 emissions grew by 5.9% in 2010, wiping out the 1.4% decrease brought about by the recession, according to figures released in 2011. CO2 levels currently stand at just over 390 parts per million (ppm) and are growing at about 2 ppm annually. In other words, the recession was a GOOD thing? Looks like Parnell should get out into the real world a bit more. Scientific consensus dictates that we should be looking at 350 ppm as a maximum level. This worrying trend must be arrested in 2012. ”Scientific consensus?” Oops!. Sounds like Parnell has been reading too many Hansen “tipping point” predictions. And wait a minute! We are at 390 ppmv today, CO2 is supposed to stick around for “centuries” and we had around 2 ppmv increase during the recession year when emissions were low. How big a recession do we need to have to get back to 350 ppmv? Sounds to me like it will take a full-fledged depression, lasting at least 25 years. Is this REALLY what Parnell wants to ”arrest this worrying trend”? Forget about this article, folks – it’s complete rubbish. Maybe 2012 will be a ”landmark year” for the disastrous climate change movement. But not in the way Parnell imagines. I have no idea what is going to happen in 2012 with respect to CAGW; my crystal ball has stopped working. I know what I would like to happen, but that is another issue. We will certainly get all the usual updates on what is happening with respect to temperatures, sea ice, hurricanes, etc. But what will be in such data I have no idea. Jim, no problem…. one thing for sure is that temps will not rise any further. The temp plateau reached its max limit, thats it. Temps will therefore stay flat or may slightly globally decrease (70% of the globe is ocean, which shows a rather cool SST) . Easy to predict….. except for the AGW-crowd which scrambles searching the missing heat since the onset of the temp plateau in 2001….. I look forward to reading your paper. I agree that temperatures appear to have reached a plateau and that temperatures should decrease for the next 30 years, but CO2 should tend to stabilize temperature above previous little ice age conditions to some degree. For those who never heard a lecture from Herman Kahn of the Hudson Institute, may I use of of his quoataions. What worries me most is the question: will science (climate science) stop it’s descent into an abyss of absurdities and malpractice ? Sorry, I have no great hope for improvement in 2012. BEST Land and Ocean, once completed, will rock some boats. Seriously, what is your best prediction? My bet is that BEST land and ocean won’t be finished in 2012. Land took them from 2009 to 2011 and still isn’t finished. Ocean’s are likely to be trickier because unlike land the major problems are not so well delineated. Just go ahead and rain on my dream, Neb. I imagine that it will rock boats when it is ready. Let’s say it (more or less) confirms that the HadCRUT3, NCDC and GIStemp records are (more or less) OK.
Let’s say (much more unlikely) it shows that all three sea surface records are grossly exaggerated (i.e. there was no appreciable warming over the sea over the past 50 years or so ) and that, therefore, the three surface records show warming that is exaggerated by a hardly perceptible 0.05C to 0.08C per decade (putting the corrected values for the past 30+ years at or slightly below the satellite record, where GH theory says they should be, in the first place). This will also not “rock any boats” IMO (but it might cause a ripple or two). Concerning the interesting results that might come out of an SST analysis. There’s a lot more scope for surprise in the SST analysis than there was for land. I don’t think the trend for the past 20 years will change much. We have satellites and various in situ estimates that all show roughly the same thing. I think that it will give a different account of the mid-century bump which, like previous looks at this, will please no one, particularly on the cooler side of the debate. It will also, possibly, give a different view of the earliest data – that’s where the biggest differences are in the land analyses. It will be especially interesting to see if they push the analysis back beyond 1850 like they did for land. Actually the boat rocking data will rock some boats ie argo.The deployment of the seismic tidal/buoy systems(tsunami) with 1 minute resolution of height/and pressure in the pacific and indian basins will constrain a number of spurious conclusions. Yup. Sane people will laugh at those who beclowned themselves and participated in BEST’s sham. There is a real problem with Guest Posts. You do one, then you have to read the responses and try to incorporate points to address peoples arguments in the next. It does make one think. I like the ‘wisdom of crowds’ approach. Sometimes, really simple, fundamental, questions are not asked by specialists, as they are too deep into their area. I’m not sure quite what you mean. It sounds like you think that ‘many and various’ would be a good approach for guest posts. If so, I agree – especially with some non-technical topics. The EIA US energy review with predictions to 2035 assumes continued reliance on fossil fuels and nuclear, with minor contributions by renewables. They also predict a huge increase in shale gas, which necessarily means there will be fracking. They predict 2035 electricity will be produced, in order, by coal, natural gas, nuclear and renewables. I predict that closing 40-50 reactors in Germany and Japan will result in a lot more coal being burned. And ending the ethanol bribe will lower the price of food. I predict that climate scenario C will be the new A. That all future IPCC conference destinations will be inside the 19 member European Union. That Eli Rabett and Robert will co-author the 2012 edition on how to win friends and influence people, the internet edition. That Joshua will surrender to the bacon after realizing that space blankets with holes in them are not adequate insulation for a 100 plus year old house. That Pekka will co-author a paper with Fred, “Millennial Scale Atmospheric Conductivity Enhancement – CO2 a Trigger of Glaciations. That Web will complete his analysis of the natural variation of climate from glacial to interglacial and add a latent heat of evaporation barrier which, with the latent heat of fusion barrier, will define the climate energy well. That Non-Ergodic Tendencies will be the new buzz phrase on climate blogs. Heh, Cap’n, three down and only 98 to go. I could do 101 in a month. How about for the year: The 1001 Tales of the East Anglian Night. And we all seem to be, very worried about the rain. 1. Public interest and concern with AGW will continue to fall. 2. As various economic issues emerge, the willingness and ability of both the public and the political class to continue to subsidize wind and solar will collapse. 3. The inability of the various general circulation models to predict the current temperature plateau will undermine such confidence as is left in the models. 5. Lefty/enviro hysteria over fracking will be overcome by increasing fuel poverty and the energy deficits caused by goofy anti-nuke politicos. Poland will frack and sell electricity to the freezing, nuke free Germans. 6. Economic fragility will trump green all over the world. – The 21st century trend since January 2001 of “unexplained” slight global cooling will continue at –0.04 to –0.08°C per decade; the year will be heralded as “the 15th warmest year on record”. – ARGO measurements will continue to show “unexplained” slight cooling of the upper ocean; device calibration issues will be questioned. – CO2 emissions will continue to rise slightly with atmospheric CO2 level increasing by ~2 ppmv. – James E. Hansen will warn us that we are one step closer to “irreversible tipping points”, which will result in “deleterious climate effects” which will lead to “massive extinction of species” and “two meter inundations” of all coastal cities. – Solar Cycle 24 will continue to be very inactive. – The CLOUD Experiment at CERN will report conclusive physical evidence corroborating the Svensmark et al. cosmic ray / cloud hypothesis; rebuttals will be issued the following day by “mainstream” climatologists. – China will continue to build 2-3 new coal-fired power plants per week and will add around 15 new nuclear plants over the year. – India will follow behind China with slightly fewer new plants. – New nuclear plant permits and construction will continue to limp along in USA as housewives, lawyers and environmental lobby groups continue to erect post-Fukushima barriers. – Politicians in Germany, the UK and most other European nations will continue sticking their heads in the sand and chasing windmills; as a notable exception, France will continue to expand its nuclear power capacity, entering long-term power supply contracts with their neighbors across the Rhine and Channel. – The COP18 UN Climate Change Conference in Qatar will result in no binding agreements of any kind, but will be hailed as a major milestone in the war on CAGW, with a new resort location chosen for COP19. – There will be floods, droughts, tropical storms, extreme cold and heat, somewhere on our planet, as there is every year; these events will be attributed to human-induced climate change. Your predictions would stand a better chance if they didn’t already incorporate multiple factual errors about the present. Y’all going to enlighten us about these ‘errors’ or should we just assume that you are only writing because you like seeing your psuedonym on the internet, and have no substantial point to make. A campaign of retribution against the deniers, who are doing violence to humanity, will be launched by frustrated nutjob eco-terrorists. It will start in effete left-wing looney areas, like Hollyweird, and initially it will likely involve setting a bunch of cars on fire, without regard to damage, injury, and loss of life to innocents, (but then who can be called innocent). The preferred getaway vehicle will be a VW bus. Chevy volt, too conspicuous. Well, one of the biggest errors was allowing the revelatory emails to be “stolen”. Now most (68%) of the voting public know that the CAGW consensus climate scientists make it up, as they go along. They let you down, bobbie. You should be over on RC, with your whining and crying. You seem to be the only one whining, Donnie. As well as the one following me around, begging for attention. Have a little pride, Donnie. I predict manacker’s predictions will prove more accurate than Hansens, Gores, and the IPCC’s combined. Confident predictions but very reasonable from where I’m sitting. A minor quibble would be that I see 2012 in the top ten warmest years – which will be trumpeted desperately as ‘meaning something’ by those hurt by the fact that RSS and Hadcrut will both have shown 15 years of cooling by the end of March. Perhaps I’ve been misinformed – don’t the Chinese have about 40 coal fired power stations due for completion this year? I think you’re right about Nuclear power, although even the French are struggling to keep up their pro-nuke enthusiasm. German cash might help of course. Sea levels! They’ll continue to rise at a third of the average rate of the last 15,000 years and James Hansen will not only spout what you’ve predicted, but a whole new batch of nonsense as well. But as you ‘couldn’t make it up’ it’s impossible to predict exactly what the nonsense will be. Otherwise, the interglacial will continue merrily along allowing wonderful living conditions for those not too jaundiced and pessimistic to enjoy them. think about all the hot bricks these people will be able to make for their big Boss. The Iran embargo over its nuclear development and its threat to close the Strait of Hormuz will increase economic uncertainty. Oil futures remain about $100/bbl for 2012. That will constrain /reduce OECD economic growth, keeping transport fuel as the critical parameter in global economy/energy/climate issues. China will continue to increase coal expansion but not as fast, as its economy struggles. Exxon projects in Non-OECD countries to grow 60% by 2040 while OECD growth flattens. That undergirds long term CO2 growth. Canadian oil sands and the Keystone XL pipeline are strategically important for sustain near term US imports of half its oil use. The declining Available Net Exports causing high prices and shortages will dominate economies of oil importing countries. Canadian oil sands and the Keystone XL pipeline are strategically important for sustain near term US imports of half its oil use. Keystone XL is designed to send the oil to the Gulf and then further afield. It will not affect our oil imports in any way. It’s primary strategic important is that it will run highly toxic tar sands through America’s most important aquifer, thus increasing our vulnerability both to accident and terrorism. Fortunately, it appears unlikely to go forward anytime in 2012. Its future after that will obviously depend on the election. WOW! Those devious Big Oil guys! They led me to believe it was routed for refining capacity and delivery to markets in an attempt to make mo money. Profit is a dirty word though ain’t it? Kinda like the ultra green version of black helicopters. The XL decision is a huge boost to Chinese oil security and strategic future. Canadian oil that would have gone to securing US energy supplies will now go to China. Jobs that should have gone to US service men and women returning from Iraq will now go to China. The decision was political, to protect one single job in the US. How does shipping oil to China after pumping it through Nebraska help in “securing US energy supplies”? That’s some industrial grade WTFage. Oil is fungible, bobbie. The Canadian oil will get to market one way or the other, and increase world supplies. It would probably be better for the US strategically and economically if the pipeline headed to LA, where we have a lot of refineries that produce a lot of export revenue. Building the pipeline would create a lot of jobs, bobbie. And when the doo-doo hits the fan, we are better off having immediate access to the Canadian oil, than not. But you hate the mean ole USA, so you don’t care about all that. I suspect Gulf refineries are more able to refine the ‘tar’ than Calif. ones. Not ‘through’ the Oglallah Aquifer, Robert, ‘over’ it, a strategic and environmentally important difference. Who’s been frightening you, and why do you wish to frighten us? If the obama administration remains in power, the EPA will simply declare the pipeline to be too risky, or they will put hurdles in place to assure that it is not built here. Similarly, if our savior remains in the WH, without worries of re-election, we are in deep trouble on a lot of fronts. Contribute all you can, and work for his removal. They’re not going to run a pipeline south across the Rocky Mountains. However, once it gets to Prince Rupert, BC, it’s on the Pacific Rim. It can just as easily go by ship to Long Bach as Shanghai. Recommend taking up chess to help you think ahead. Reduce the oil available for the US to import. and China and India are projected to consume ALL available net imports within 20 years – leaving none for the US and other oil importing countries! i.e. increasing the economic chaos of the last four years. There has been a very high increase in Regulatory Uncertainty, Macro Policy Uncertainty, and Demand. Politically avoiding action will strongly increase the harm to society as shown above. Welcome to the world where there are consequences for your actions! Hopefully there may still be some who apply commonsense and seek the common good. Nebraska governor Dave Heineman signed into law on Tuesday bills to reroute the Keystone XL pipeline away from the ecologically sensitive Sandhills region. The Canadians have to do an awful lot of processing to reduce the sands content to a liquid before it can flow through a pipeline. They have all the natural gas they need to do the separation and so it is just a matter of time before they do some refining themselves. They are not refining it for heating oil, as NG is adequate for that. There are also plenty of pipelines in place that already go to the Midwest USA. The only reason for Keystone is to take advantage of Atlantic Brent prices; get it to the gulf so they can ship it overseas. It is a big non-story, suitable for wingnut whining. You raise a coupla interesting points, Web. First, I’d like to more than guess about the refining capacity of the Gulf refineries. Second, wouldn’t it be nice to have a river of energy and structure substrate running through our heartland? No matter what you imagine as its ultimate destination, that would be an invaluable strategic asset, and it can be made environmentally safe. Check out the discussion at http://theoildrum.com today. You have Texas oilmen ROCKMAN and Westexas going against a Canadian oilman RockyMtnGuy. I am trying to get verification on what I asserted and so far the Texans hate the idea of the pipeline. The Canadian loves it of course. Texans in general want the Keystone pipeline: it adds liquidity tot he market in every sense of the word. It brings in good jobs. It is low environmental impact. It helps the American people. You may indeed have found a crank who does not want the pipeling and happens to live in Texas. That is what most people would call anecdotal. Only an idiot would imply that tar sands oil is more toxic than non-tar sands oil. Since pipelines have been running on top of aquifers literally many decades with no significant problems, implying that the Keystone will run ‘through’ an aquifer that is hundreds of feets below ground when it will not, and is giong to pose a unique hazard to the aquifer when it is not, is at best a tactic borne of ignorance. See China’s economic growth. Asia has shown strong CO2 growth, dominating all OECD efforts. Asia’s strong CO2 growth is likely to continue with strongly increasing coal use. Ford is discontinuing its mini-pickup the Ranger, after selling mini-pickups since the 1970s. They see the future in full-size pickups, the F-series. What do they know that we don’t? Here is a series of plots of Argo data. If the earth is warming, then why do we see no warming in the oceans? These plots were made with the Argo viewer downloaded from their site. One of the images gives an example of the typical settings to recreate the plots. The plots are mostly made in units of dbars, which are roughly equivalent to meters, because the viewer can be temperamental when working in meters. “3) California Cap & Trade: Ready or Not? There is no such thing as failure of a government program among the progressives who run California. They have been running their state and their economy into the grounds for decades. Cap and Trade will be acclaimed a rousing success even as ever more industry, jobs, and people flee the state. Federal energy policy will depend entirely on the November 2012 election, and not a whit on the inevitable failure of the California cap and trade boondoggle. I predict the continuance of two delusions – a) that an increase in ‘renewable’ energy sources means that ultimately less fossil fuel will be used [it won’t] and b) that a ‘decrease’ in Co2 emissions in a country or region means that ultimately less fossil fuel will be used [it won’t]. The only relevant fossil fuel is that which is left in the ground which would have been economically recoverable but was left unused through policy or choice. Until those reserves become identifiable and observable, the whole renewable/Co2 reduction meme is one enormous red herring. We’re heading for exactly the same ultimate fossil fuel use we were 25 years ago – precisely nothing has changed. As an example, Canadian oil sands would have to be left unused effectively forever, or all the CoP agreements and green incentivising won’t mean a thing. Windmills, solar PV and nuclear power are quite capable of accompanying us on the way to utilising exactly the same total amount of fossil fuel. Our delusion is that these things somehow prevent fossil fuel from being used somewhere, at some point, by somebody. They don’t, hence the red herring. In 2012 Climate Etc will present for discussion at least four papers about short-term (or transient) climate sensitivity, at least 2 of which are based on detailed studies of mechanisms of heat transfer and their perturbations by CO2 changes, and at least 2 (like Padilla et al) on analyses of gross energy flows. On other things, I think that Jay Currie and manacker are about right. Max usually has it dead on. MattStat, I hope you are right. There is way too much confusion over temperature and actual energy. Radiant transfer can produce higher temperatures without significant energy like a capacitor can double voltage when there is no load on the circuit. DWLR direct measurement is like testing a battery without putting it under a load. giving the false impression that temperature is a direct indication of work. Paleo reconstructions are based on evidence that work was performed requiring a temperature to perform that work. Instrumental data is based on temperature with no consideration of work done. So it is not surprising that instrumental records show much greater change than paleo on the warm side since cooling is evidence of actual work. When is the last time you heard a climate scientist mention that instrumental variation should indicate up to twice the variation of low frequency paleo variation under normal conditions? The analogy is a bit off. The capacitive buffer for heat lies in the ocean. As Moolten patiently explains, the ocean’s uptake of heat has been tremendous over the years. A capacitor in this way acts as a metallic heat sink, absorbing heat temporarily until it starts releasing the heat through its fins. The ocean has no fins to speak of (except the fish kind), so the heat will eventually re-emerge, possibly through the oceanic oscillations we see right now. That is just my intuitive understanding based on the energy balance arguments we are all fans of. 2012 will mark a full decade since the Earth began to cool in 2002 and ten years is more than plenty for even the most ardent believers in AGW to realize that every penny spent on this foolishness has been a complete waste. 2012 will be a very embarrassing year for those who continue to claim that we must reduce CO2 emissions to stop global warming and even more embarrassing for a government that blindly accepted this idiocy. I gave up futurology thirty years ago, when I got something right, and realised that it had just been a lucky guess. So, no predictions from me. I keep hoping for good data, based on good observations, and with appropriate precision. How BEST will do anything of that kind to SST beats me, but I wait with hope. I would like more from tonyb, more on data, more on the social, political and economic context of AGW, and more from CH, Nullius in Verba, and others who combine opinions with good argument and good data. I would like less of the tiresome interventions, now all too frequent, that remind me of nothing more than undergraduate tutorials dominated by a know-all ( I was one myself, once, so I know the signs). I’d never predict anything except unexpected change. MIKE Sandiford’s venture into the climate debate is welcome, notably for its absence of personal abuse (“Cherry-picking contrarian geologists tend to obscure scientific truth” 31/12-1/1) . Ian Plimer was referred to as “contrarian” rather than “denier” and even the term “climate change” was not used. Does this mean we can expect some real scientific debate on this topic rather than the name calling that has characterised it in the past? If so I would like to make a few points. Certainly Plimer appears to get it wrong when he compares Siple ice core CO2 concentrations with those measured more recently at Mauna Loa. Surely Plimer has got the numbers back-to-front. The issue is not quite so clear-cut when it comes to global average temperature. NASA data does indeed show 2010 as the hottest on record, but this is not the case for the equally authoritative HadCRUT3 temperature record from the Hadley Centre Climate Research Unit, which clearly shows that 1998 was the hottest year. It is the trend that matters and both data sets indicate that the rapid global warming of the 1970s and 80s has ceased. Sandiford seems convinced of the heat-trapping effect of CO2. As a physicist I am sceptical for the reason that convection, not radiation, controls lower atmosphere temperature. I would have thought active submarine volcanoes recently discovered along the Gakkel ridge near the North Pole provide a more convincing explanation of Arctic warming. Perhaps geologists are unaware that submarine tectonic heating is never included in climate models. I AM disappointed with the level of debate on climate change as represented in Mike Sandiford’s article. His analysis of Heaven and Earth, by Ian Plimer, shows that the significant difference of opinion on the causes of climate change continue to be subject of claim and counter claim. Sandiford is entitled to contrarian views and to rightly assert that the climate has warmed 0.68C in the past century, and that the past 10 years are the highest recorded. The question of why we have had significant cool and hotter-than-now periods has not been adequately explained. Sandiford could have assisted the debate by offering an analysis of past climate changes, or do we await the next ice age unprepared? The issue is not that the climate has warmed or that atmospheric carbon dioxide has increased. Both of these facts are acknowledged by sceptics and warmers alike. The issue is what proportion of that increase is attributable to ACO2 and why. The Intergovernmental Panel on Climate Change reports the largest single driver of global warming is not ACO2 but the consequent water vapour. Cloud cover and solar radiation remain significant uncertainties. We would be wise to assess the IPCC uncertainties and, instead of jumping at shadows, rationally, economically and scientifically assess our options. May 2012 be the year of rational debate. MIKE Sandiford does not mention that CO2 has no correlation with temperature on any time scale except for the last quarter of last century, and then only if the sun’s likely effect on cosmic rays and clouds is ignored. Changes in CO2 do not match temperature for the last decade, century, millennium or on million-year time scales. There have been periods of the past when CO2 was low and temperatures were much higher than the present, as well as periods when CO2 was a lot higher than today with temperatures much lower. His faith in the NASA Global Institute for Space Studies surface temperature record is a little misplaced. This thermometer-based record has bad coverage and is affected by local land-use changes. But the satellite record has global coverage, is much more accurate and shows 1998 as being warmer than 2010. Squabbling over the odd hundredth of a degree is not significant. With ocean thermal expansion also at negligible levels and the CERN experiments likely to confirm the link between solar activity and clouds in the near future, the climate alarmist house of cards is starting to crumble. Mike Sandiford would do well to look more closely at the data. In 2012 agriculture commodity prices will likely continue to trend down. The current economic situation in the USA and Western Europe will force reductions in long term research funding for agriculture and related insurance programs. Since this is the only real world wide adaptation work being carried out, response to climate change (any cause, in any direction) will ultimately be delayed. Sovereign nations will continue to encourage scientists to quibble about “mitigation of cause” of climate change, thus allowing these same nations to abdicate their responsibility to protect its citizens from “weather events” such as flood, drought, frost or hurricanes. Maybe Climate Etc will do a run with agriculture scientists on the future of “producing food” to feed 7 to 11 billions humans. Judith, Happy New Year. I am personally very interested in technical guest posts. I always find these interesting especially if I haven’t thought about the issues in that way before. I liked Andy Likas’ post despite its controversial tone. I also enjoyed very much Tol’s participation. He apparently doesn’t comment much here any more and claimed elsewhere that he was losing interest. Perhaps he would do a guest post if asked. I will at some point do one on fluid dynamics and mathematical models. It’s a very technical topic but one that can be explained in an accessible way given the required preparation time. And its an exciting and challenging area because it exhibits all the challenges and issues with nonlinear dynamical systems. Why has the temperature of Earth been limited to a more narrow range, for 10 thousand years, when it never was before? 130 thousand years ago, 240 years ago, 335 thousand years ago, 420 thousand years ago, water was trapped in huge glacial lakes and there was not enough water in the oceans to flow into the Arctic without melting the ice on Greenland. Therefore, it warmed more than now and melted more ice than now and raised the oceans more than now. Then the Arctic Ocean Effect Snow and the Glacial Lake Effect Snow was much fiercer and lasted longer than anything in the most recent 100 thousand years. That did drop the oceans enough to cut off all water flow in the Arctic and build the miles high ice sheets that took 100 thousand years to melt and get thin enough to start to retreat. Earth warmed while the ice retreated, until Younger Dryas. The huge Glacial Lakes dumped into the oceans and then there was enough water in the oceans to enter the Arctic without melting Greenland. The water level now is such that it will always snow before we exceed +2C and the snow will stop before we exceed -2C. Most of the time before plus or minus 1C. More collaborative work in environmental modeling as the http://azimuthproject.org site is working to achieve. Wikipedia is a good template but does not encourage exploratory research, so Azimuth has a wiki along with a blog and forum for discussion. I mention this because I am always on the lookout for crowd-sourced problem solving forums. Barring anything new that comes up, will see you at the Azimuth in 2012. Thanks for the link. I bookmarked it and shall peruse it regularly. It does look a bit redundant to ClimateEtc, WUWT, RealClimate and TheOilDrum that I read regularly. I came across this: Aiguo Dai, Drought under global warming: a review, Wiley Interdisciplinary Reviews: Climate Change, 2010. A terrifying scientific review of drought predictions for the next 20-50 years. Please! The next 20-50 years will look a great deal like the last 20-50 years. Every place that had droughts and/or floods (Queensland, Indus Valley, China, Sahel) will have droughts and/or floods. “Terror” is a totally useless response to the threat. But, no place is perfect, and The Azimuth Project looks serious. We understand so little on velocities, yet many areas of sports are built on speed and power. We measure the velocity of the speed of an object but still do not understand what forces are all combining on the object. Can you imagine generating a baseball player, soccer player or tennis player that knows all the parameters of forces he is up against? A person who has mediocre skills can be a very good player if he/she knows exactly how and why they move the object to get the maximum torque. Or angle on an object to travel EXACTLY and how to change the force of the object to confuse the opponent? This is what understanding of forces in objects can produce. On the energy side I think 2012 may well resolve the issue of LENR being “real” or not. As more ecats are produced, tested and sold someone is bound to let the ecat out of the bag. Global warming will be a huge loser in the 2012 US elections, both because candidates will embrace the sceptical side and the results of the elections will reduce the number of warmist supporters in elected office. Not much will change in terms of the science. The alarmists will keep doing what they do. The sceptical blogs will keep doing what they do. Many studies will be published. Many overheated claims will be made about what the results mean. Audit will reveal that the studies have flaws. People will see and believe what they want to see and believe. The general public will get totally bored with it all long before the arguments cease, but that will be years from now. More “leaking” of hidden climate emails & reports. Lindzen = 0 …….That’s OK as Richard is not into Paleo. Baliunas = 0 …….Do they think we have forgotten? 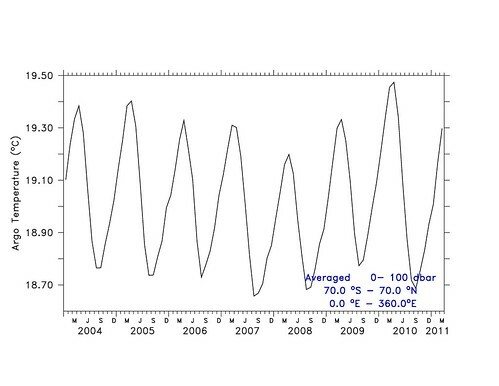 Soon = 0 …….The IPCC ignores measurements and work confirming Hubert Lamb’s MWP. Shariv = 0 …….No need to even mention cosmic rays! Kirkby = 0 …….The IPCC scorns hard science. CERN schmern! CO2 rools! Briffa = 16 …….Trees rool! Jones = 19 …….Still a star in spite of some naughtiness. Ammann = 52 ……A legend in his own mind. Mann = 109 ……The IPCC still loves the Hockey Team! Penn State keep circling the wagons.